Eimhin's secret blog: PURE Animation 2012! 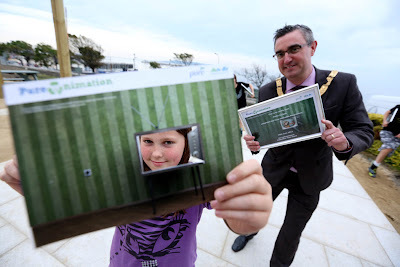 Participant Sasha Lorrigan with An Cathaoirleach Councillor Tom Joyce. 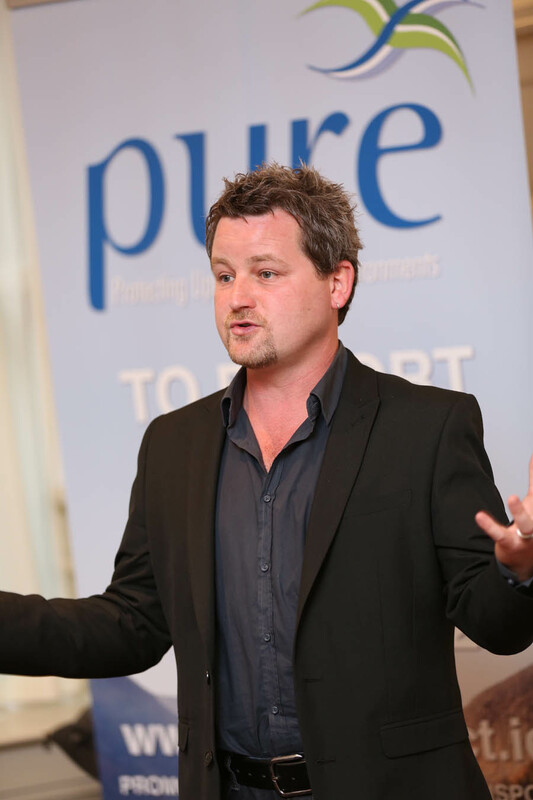 I recently had the pleasure of hosting the first ever PURE Animation Environmental Film School, produced in co-operation with the PURE Project and Dún Laoghaire-Rathdown County Council. The workshop took place over two sessions in April and May, one at Mounttown Community Facility and the other at Cabinteely Community School. We had 23 participants overall, aged from 10-17 years old. - Dump it on Earth! One man’s careless actions cause a global catastrophe. Is there any hope of a second chance? The films were facilitated by myself and Pádraig Fagan with the assistance of Carol Freeman and featured all-original music by the multi-talented Chris McLoughlin, all three of which have hosted their own workshops to boot! With the assistance of Donal Mangan we also did some filming of the students at work and I have put together a little behind the scenes video to show how we approached the animation on A Bob from the Past and Rubbish Express, and also to give an idea of how much patience and concentration the students exhibited. 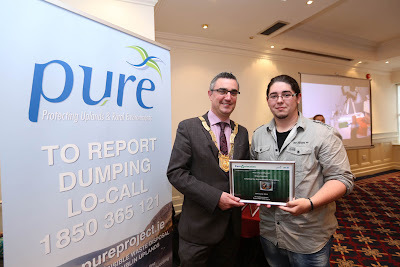 Last week the films were premièred in the Kingston Hotel in Dún Laoghaire, presented by Ian Davis of the PURE Project and An Cathaoirleach Councillor Tom Joyce. A captive audience in (L-R) Philippe Lorigan, Adam Cantwell-Xenopolous and Sasha Lorrigan. 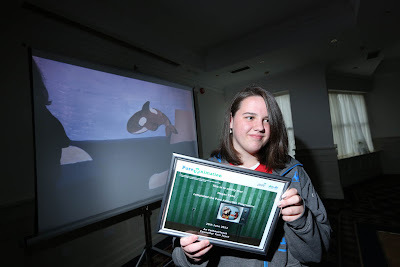 Megan Taite with her award, her film Nuclear Winter is visible in the background. 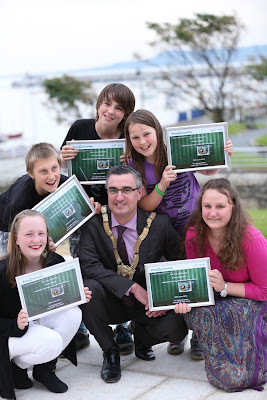 After the screening, each student was awarded a certificate, presented to them by An Cathaoirleach. (L-R) Sarah O'Neill, Adam Cantwell-Xenopoulous, Philippe Lorigan, Sasha Lorigan, Eimear O'Connell and Councillor Tom Joyce. I hope you enjoy all the students' work! and of course all of the participating students! Thanks Morgan! Glad you liked them!